Editor’s Note: It’s with great sadness that we must report the death of Robby Müller on July 3, 2018, at the age of 78. 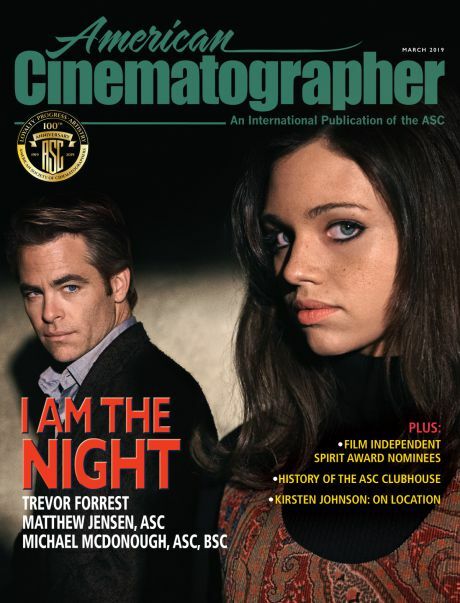 The following piece was written in 2013, as he was being honored with the ASC’s International Award. Robby Müller in Amsterdam, 2006. When I choose to work on a film, the most important thing to me is that it is about human feelings. I try to work with directors who want their films to touch the audience, and make people discuss what the film was about long after they have left the cinema. This succinct statement defines his career long commitment to filmmaking as a humanist venture. His cinematography exemplifies singular artistry in an age that increasingly declaims “the death of cinema,” regarding movies as just another entertainment platform. Müller came to cinematic maturity at a heady time when movies really mattered, when they were debated in student and intellectual circles with the passion that a generation earlier had been the province of the novel. Robby Müller was born on an island off the coast of Venezuela, in the then Dutch Antilles — a true son of the New World. His family traveled extensively when he was a child; he settled in the Netherlands only at age 13. It may be this international peripatetic perspective during his formative years that, overlaid with the tradition of classical European culture and its rich visual tradition of Dutch Masters painting that he absorbed as a teenager — that infuses his work with its unique qualities. Müller seems as comfortable in the Los Angeles down and out milieus of Skid Row’s Barfly, the seedy drug drop-offs of To Live and Die in LA or the mean streets of Repo Man, as the Wirtschaftswunder decades of post-war Germany, and the more cultured environs of Wrong Move or Mysteries. To every genre he gives the studied gaze of the painter. I have never met Robby Müller and, sadly, it is unlikely that I will have the opportunity. Though he is the 2013 ASC International Award honoree, his health does not permit his in person presence at the ceremony on February 10, nor will he be able to make a speech on video. 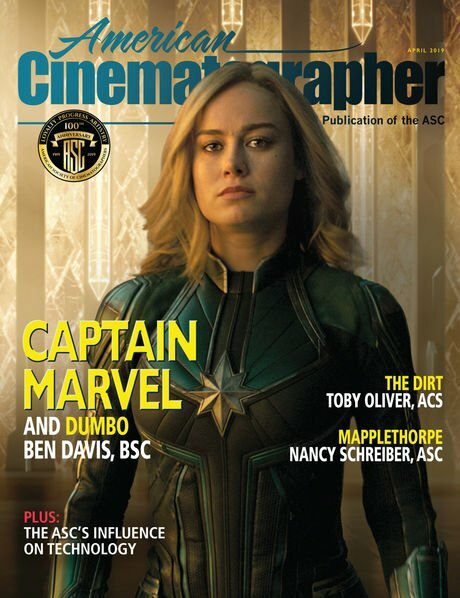 But recently, several colleagues who have worked with him, as well as fellow Netherlander cinematographers, and those who simply admire his work, assembled at the ASC Clubhouse to video record their thoughts about Müller and his work. An edited tribute will be screened the evening of the awards ceremony. But nothing can substitute for Robby Müller’s own reflections on why filmmaking so matters to him and of the primacy he gives to cinematography. Fortunately, there is an interview with him that was made about the production of Jim Jarmusch’s Down By Law, a 1986 movie that was the first of the four films he made with the indie director. A distinguishing factor of Müller’s cinematography on this film is that of the long take, what has come to be called “slow cinema,” an inaccurate moniker that seems to consign the reductive, controlled mise en scène of artists like Bela Tarr and Jarmusch to that of an indulgent stylistic tic. “Slow cinema”, in fact, seems to be experiencing a rebound in some mainstream movies—as a deeply emotional and engaged approach, an alternative to the use of multiple cameras, a slowed down approach that reveals character and behavior in real time as antidote to the visual dopamine of fragmented cutting that has become such a cliché in many current films. Steven Spielberg’s Lincoln also embodies this slower paced camera style using studied character portraits in lengthy shots, rather than a restless camera racing to stay ahead of ricocheting jump cuts. Although the video interview with Müller uses clips from Down By Law as its central referent, these same visual ideas are present in much of his work. In Part 1 of the video interview Müller talks about first meeting Jim Jarmusch and how quickly he felt at ease when the director revealed he was “not afraid to show his own uncertainties.” This gave the cinematographer a sense of freedom and openness as he began principal photography. When Müller asked the director about “style” Jarmusch replied, “Well, Robby, it’s only a fairy tale.” Down By Law is a very adult fairy tale, indeed. Its reductive visual environment, its seeming banal, circuitous dialogue and Roberto Begnini’s word games with his English notebook, evoke the tone of Beckett’s Waiting For Godot — but a very American Godot. John Lurie, Roberto Begnini, Tom Waits in Down by Law. The cinematographer quickly dispatches any technical discussion of camera, lenses and film stocks, listing these tools perfunctorily. He also reveals a clear distaste for storyboards and video assist. What interests him more than any of technical discussion, is the aesthetic debate of whether to film in color or black and white. The second part begins with a discussion of the “master shot.” This wide shot is used to define the physical space at the beginning of a scene, to orient the players, and to act as a bridge to closer coverage—but for Müller and many directors and cinematographers who came out of the European New Wave, this wider shot, when carefully designed, becomes the beating heart of the scene. Much of the action is defined in the subtle interplay of the actors, all in the same frame, played in real time. Müller also discusses the importance of careful, nuanced lighting in this kind of shot, since it must bear the weight of the scene; it must also present arresting compositions to support dramatic momentum where there is no editorial coverage. Director Nicholas Ray in The American Friend. Sally Potter in The Tango Lesson. Harry Dean Stanton in Paris, Texas. There are several areas where Müller finds himself at creative odds with his American peers who work inside the Hollywood studio system; in a section called “teamwork” he decries what he sees as the over specialization of crew categories and the resulting insularity of each department. In a similar vein, he expresses impatience with the role of the camera operator who he believes can isolate the cinematographer from full creative control at the lens; he tends to blame the union structure for this. 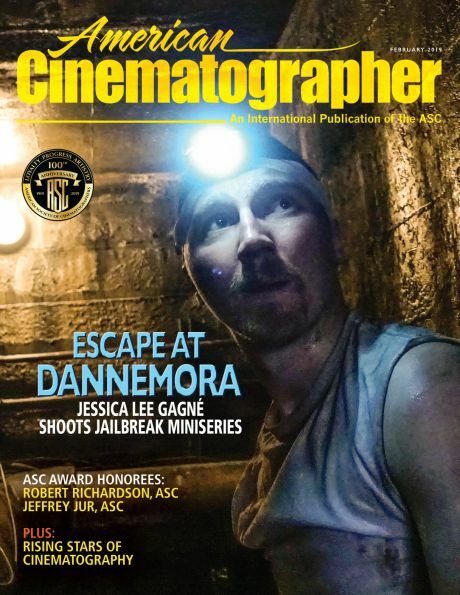 This is not an unusual attitude among cinematographers who have been fully formed outside the American system — but I must take issue. Having worked on extremely low to extremely high budget movies as a camera assistant, camera operator and cinematographer, I think that teamwork and collaboration can be as strong within the Hollywood system as it is in Europe. Whatever differences may exist, arise from cultural rather than structural attitudes; it is not inherent in the different systems. I have never experienced the role of the camera operator as anything other than supportive and expansive — another partner whose contributions I accept or not — but one who always affords me more time to work next to the director. It is about this that I wish I could have a discussion with Robby Müller. In the brief clip of Part 3 that concludes the interview, Müller talks about how he photographed the boat scenes in the Louisiana swamps. The video ends with “looking back,” a quiet summation of the importance of the human experience, of why we should choose to work with filmmakers of sympathetic minds and hearts. His advice is simply said, but the truth of it is profound and may serve as cautionary advice to young filmmakers facing a career dilemma: to take on or pass over a project that is fronted by people unlikely to share your own moral and aesthetic values. The interview was filmed in Amsterdam in the Hortus Botanicus by cinematographer Claire Pijman. I met Robby through Wim Wenders after I had seen Alice in the Cities, which he shot and where he had begun a rich creative relationship with the director. I thought what a poetic, minimalist, yet modern look at the world he had created in black and white. I had the opportunity to work with Robby as an assistant and on 2nd camera on Wender's The American Friend, in New York in the late ’70s; I also operated for Robby on Peter Bogdanovich's film They All Laughed in the ’80s. (Robby called me “American Friend.”) For me, he was the Zen Practitioner of image and light — documenting what was unique about a location and its changing light. Robby also had an internal rhythm and grace in his camera operating — his hand holding the top of a BL 3 magazine, allowing the camera to become part of his body, and always feeling the image. We used to look at the large format "New Color" photographers of the ’70s: artists like Len Jenschel, Mitch Epstein, and his then favorite, Joel Meyerowitz, especially his book "Cape Light." The images of interior and exterior landscapes in that book, with its mixed color temperatures of daylight, tungsten, fluorescent, and sodium vapor was something Robby felt close to, and which he felt could create an emotional environment for the actors and story. He strove successfully to emulate that look in cinema, always searching to create a reality in the space where he was filming. But he wanted more than mere photo-realism; he wanted to create a poetic-realism, one that would allow the viewers to think it was literal reality — be it in Hamburg, Paris, Texas or New Orleans. As for Robby operating his own camera, I think he felt it kept him closer to the actors and director. He was the first audience for the actors, and he felt they could depend on his support. In order to develop a relationship and trust with the director, he wanted to judge the images through the lens. We have to remember that independent European films didn't use video-taps then, so the DP/cameraman was making the call; also, the crews were, for budgetary reasons, much smaller. I'll always remember Robby rolling skinny cigarettes behind the camera with his Drum tobacco. Thanks, Robby, for being such a generous and open friend. I'll always love you like a brother.